Verizon on Tuesday announced plans to kick off a new promotion as of January 17 that would bundle an Apple Music subscription to customers subscribing to the carrier’s two most expensive monthly phone plans. The new promotion would expand on the wireless carrier’s current promotion offering six months of the streaming service free to select users. Starting Jan. 17, Verizon customers subscribed to the Beyond Unlimited or Above Unlimited plans will gain access to Apple Music as part of an incentives initiative. The promotion represents a $9.99 value for end users, and for Apple presents an opportunity to significantly boost marketshare in the highly competitive streaming industry. In addition to Beyond Unlimited and Above Unlimited subscribers, those with Go Unlimited plans can take advantage of an existing Apple Music trial offer that includes six months of service at no additional cost. 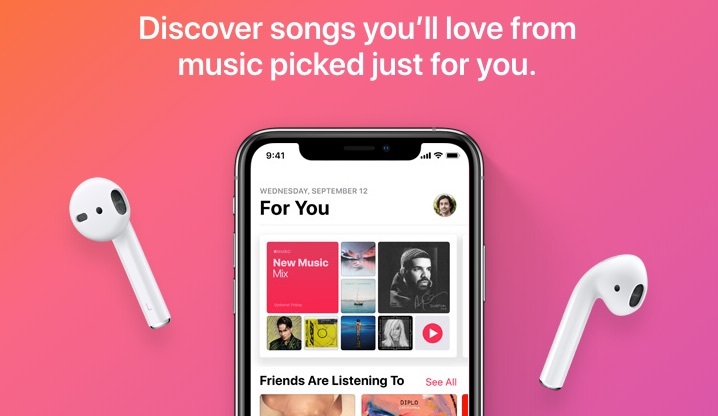 Verizon says customers are responsible for taxes and fees on the $9.99 Apple Music subscription, although that appears to be bundled into everything, as Verizon’s unlimited plan pricing appears to be unchanged. Angie Klein, VP of marketing at Verizon, indicated this latest Apple Music promotion has been in the works for awhile.